Are you looking for a versatile award to represent someone who is "the bomb" or someone who "bombed"? The Full Color Resin Bomb Trophy is designed to fit all your needs! 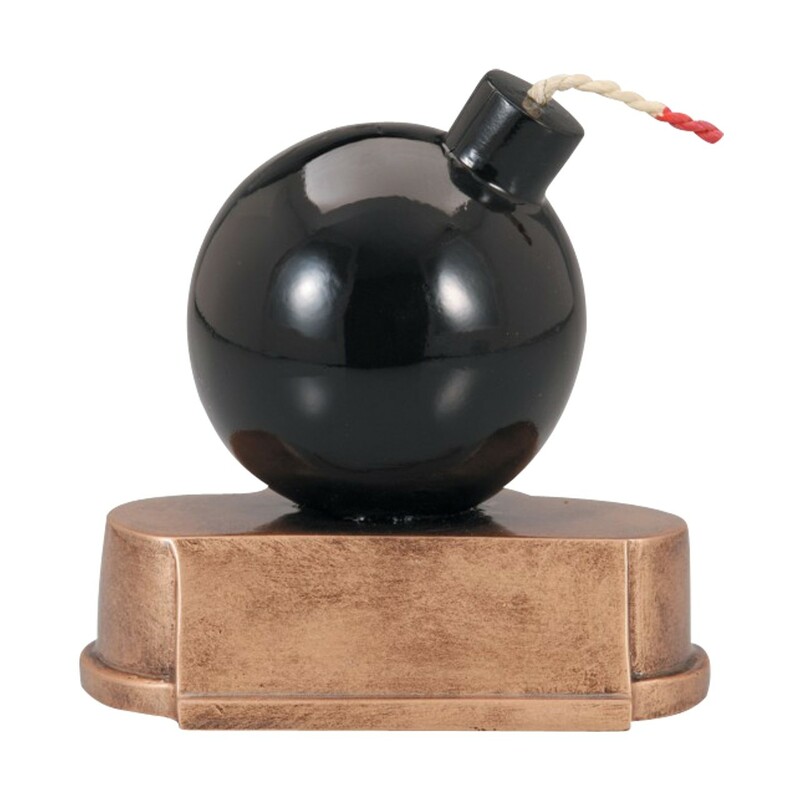 This award has a full color black bomb with a fuse mounted on an antiqued gold resin base. Your gold text will be engraved on a black brass plate for a custom finish.